Let’s Talk English speaking Institute in Mumbai and Thane presents English speaking course to learn the difference between American English & British English pronunciation difference. This topic has always confused students as there quite a few differences between the British English & American English pronunciation. I am Brian, you host for this English lesson. In this English lesson, you will learn the difference between the British English and American English pronunciation. This is the most requested topic in the comment section of our videos, so let’s begin with the lesson. 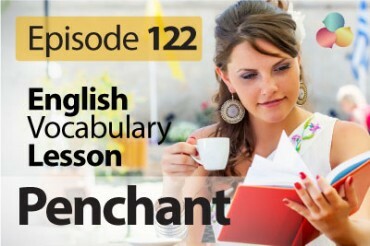 I will give you common words used in daily English conversation, followed by example sentences. So that you are just not learning the words, but how to use them in English conversation. First, you will hear the British pronunciation followed by an American voice. Make out the difference between the two voices. You could also join our British Accent Training course or American Accent Training course at our English speaking institute in Mumbai Thane and Navi Mumbai. Our trainers specialize in Accent training and would help you shave off your regional accent and get you speaking close to native English speakers. I haven’t got the answer for my question. The cabinet minister has to answer the corruption charges. I love to eat apricot jam. An apricot is a small, soft, round fruit with yellowish-orange flesh and a stone inside. Everyone in the room burst out laughing when they saw Tom slip on the banana peel. I’ll have the chauffeur drive me to the store tomorrow. As a mother, I’m also the chauffeur who drives my children around town. Where’s the nearest telephone booth? John was sitting alone in a corner booth, eating his lunch. A person who speaks clearly and makes sense is an example of coherent. The Mayor of the city proposed the most coherent plan to improve the schools. An example of Congress is the group of people that United States citizens elect as their representatives every two years. Michelle didn’t have the courage to try sky diving. Tom suggested that Mary should resign from her current job and find another one. Peter got to know his current girlfriend at the gym. Plants and animals flourished on Earth thousands of years ago. When someone speaks with such rhetorical flourish, it starts to sound like they’re lying. We have to hurry; else we will miss the flight. Take your time. There’s no need to hurry. She doesn’t seem to know what to do with her leisure time. What’s your favorite leisure activity? He seems like a respectable businessman, but he’s really part of the Mafia. Celebrities have a right to privacy. Let’s talk in my cabin, we will have complete privacy. Did you know that Mark has a criminal record? Michelle thinks it is impossible for Suzie to break the record. The song sounded out of sync because the flutists were not playing simultaneously. One of Tom’s favorite meals is a grilled cheese sandwich with tomato soup. Take lots of vitamin C to avoid catching a cold. 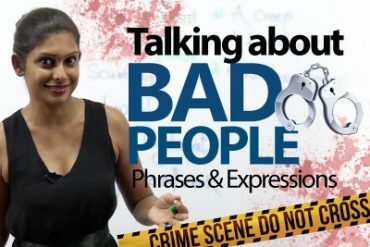 Talk about ‘Bad People’ in English.